I am always saying that meal planning keeps me sane. It means that I stick within our food budget for the week, and takes away the unknown when it comes to dinner time. We don’t reach for the takeaway menus because we can’t be bothered to think of something to cook – the ingredients are all there in the fridge. But what if there was a way to make creating your meal plan even easier? I currently use pen and paper and stick it too the fridge, but there is an app which can do it for you. 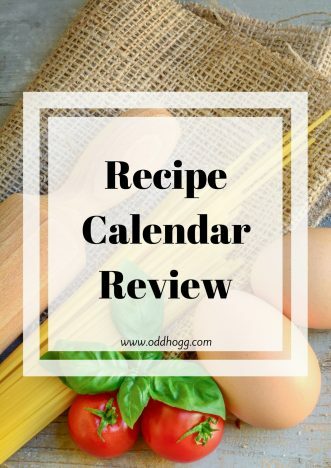 I have been giving Recipe Calendar a try to see if it makes my life a little easier. 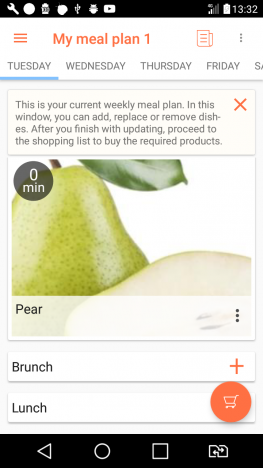 Recipe Calendar allows you to share your meal plans, and read meal plans provided by others. There is a whole community of meal planners at your finger tips, and you have the ability to subscribe to those who like similar meals to you and even recommend dishes to your friends. I set about creating my own meal plan. There are filters for breakfast lunch and dinner, but I tend to only plan for dinner each day. 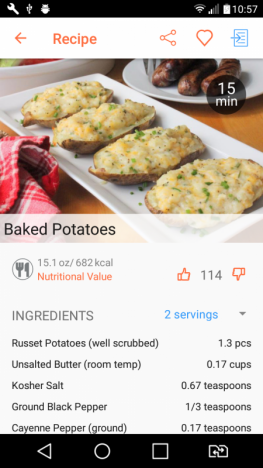 You can select recipes already in the app. I found this great for when I was lacking inspiration and wanted to branch out and try something new. There is also a grocery list. I thought this was a pretty clever idea to stop you remembering to purchase items that you will need for some of the recipes. I usually take a paper list to the supermarket with me, but Piglet often gets his hands on it and chews it up while sat in the trolley! Unlike my usual meal plans, the recipes are right there on the app. That means I can pull it up easily and follow it to make dinner. In the pro version there is a timer and nutritional info too. Recipe Calendar is available in Google Play. Unfortunately there doesn’t appear to be an Apple version yet which is a bit of a bummer as it means I can use it on my tablet but not on my phone. Here’s hoping one day they extend! I’ve got an £35 ($50) Amazon voucher to give away, plus FIVE people will win a years subscription to the pro version. To enter simply use the Rafflecopter widget below. This post was sponsored by Recipe Calendar.